The Gingerbread house, also lesser known as The Asendorf House, is 108 years old, was built in 1899, and is considered one of the most outstanding examples of “Steamboat Gothic gingerbread carpentry” in the US. 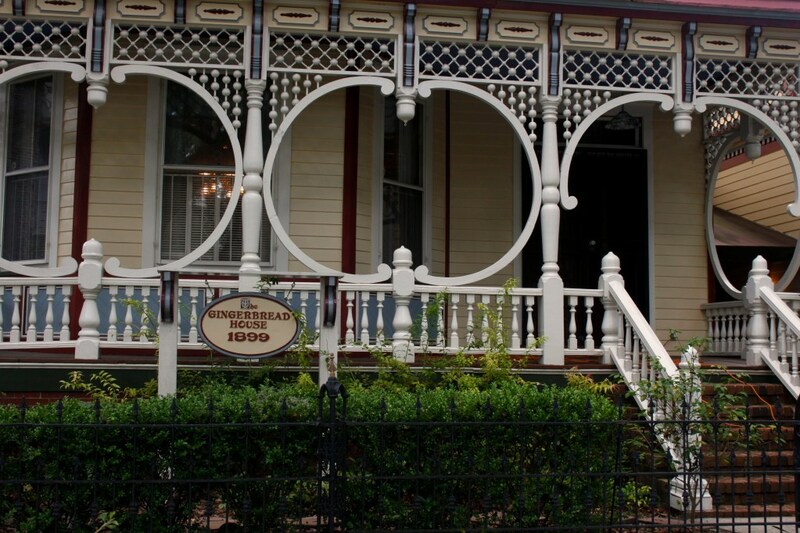 The house is commonly referred to as the Gingerbread House because of the elaborate gingerbread arches and spindles on the front porch and side balcony. 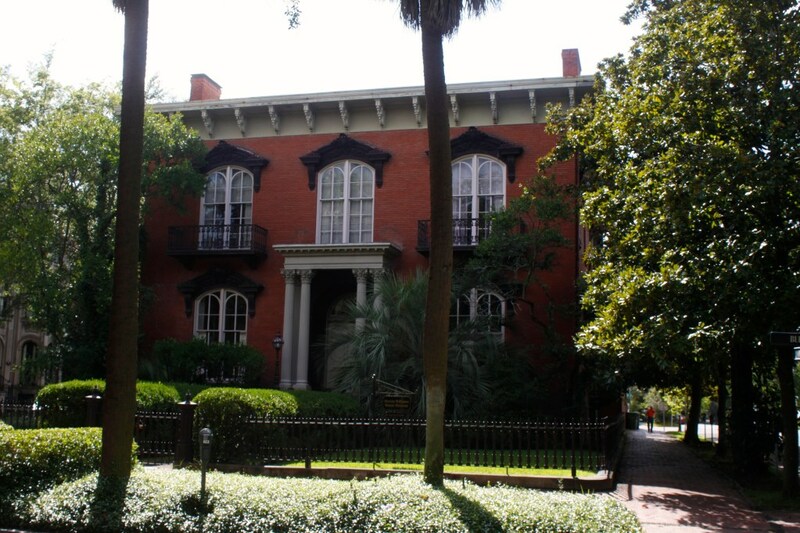 It is also one of the most photographed homes in Savannah, and has been featured in many films and publications. Inside, there’s a conservatory, three fireplaces, a wooden staircase, and extensive wood trim. The house is also filled with antique furnishings from the original period, and has a gorgeous, private courtyard with a gazebo and small waterfall. Today, the house is available for booking as a venue for weddings, private parties, receptions, and other events. For more information, call (912) 234-7303. The Armstrong house is a 100 year old, four story mansion built in a beautifully restored Italian Renaissance style. With sprawling porches and a large grand entrance, it’s not to be missed. The house was originally owned by the Armstrong family, and has had three other owners since then. In 1935, it became the site of Armstrong Junior College, until the college moved to a larger location, and was bought by Jim Williams who converted it into a high-end antique shop. Currently, Bouhan, Williams, & Levy, one of the most prestigious law firms in all of Georgia have occupied the building since 1970. 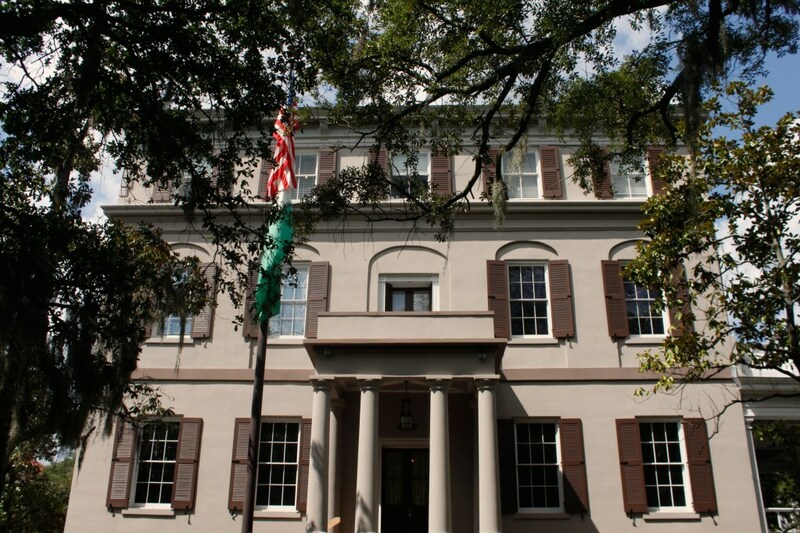 The Juliette Gordon Low House is the birthplace of the founder of the USA Girl Scouts. She began the organization in 1912, and now it has over 50 million past and present members. The house is owned and operated by Girl Scouts of the USA since it was saved from demolition in the 1950s, and now exists as a National Girl Scout Program Center and a house museum for the general public. This beautiful house, and the legacy of Juliette Gordon Low, has made her birthplace one of the most visited historic house museums not only in Georgia, but also in the nation. For more information, call (912) 233-4501. 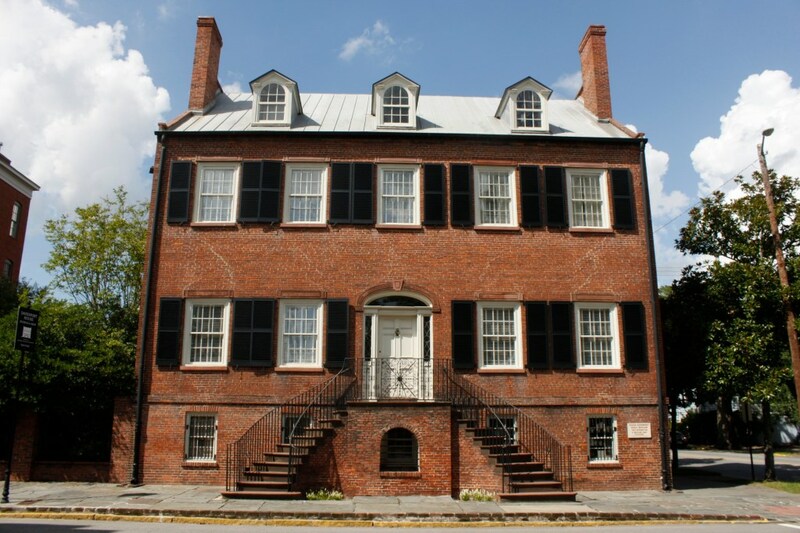 The Davenport House is an 1820 Federal-style dwelling built by Isaiah Davenport to house his family until his death in 1827. His wife, Sarah Clark Davenport, converted it into a boarding house until 1840 when she sold it to the Bayard family from South Carolina, who kept it for 109 years. Over time, the house became rundown in an increasingly unsafe part of town, until the New Deal surveyors recognized the architectural significance of the home and classified it for the Historic American Buildings Survey in the 1930s. But the real significance of the Davenport House began in 1955 when it was threatened with demolition. Upset at the idea of destruction of such a historic home, a group of citizens joined together to purchase it. 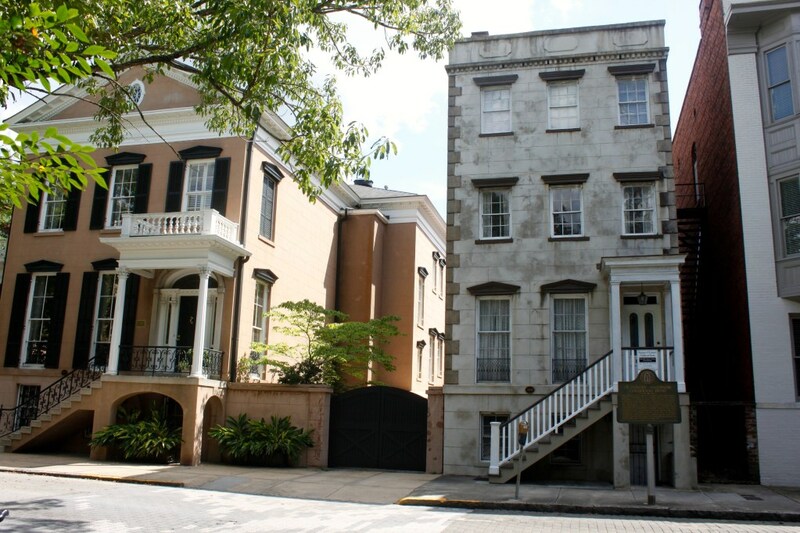 This was the very first act of the Historic Savannah Foundation, a foundation that has gone on to save over hundreds of historic buildings in Savannah. 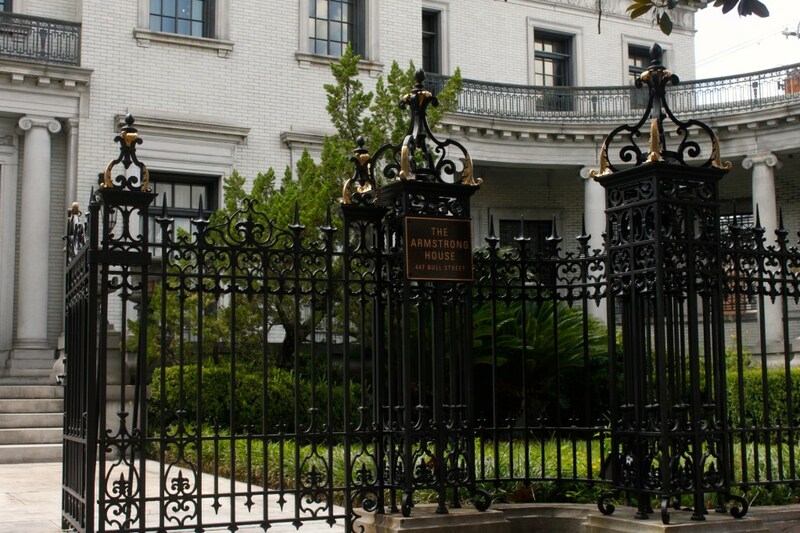 The Davenport House became the Historic Savannah Foundation’s office and operated as a family services agency as well. On March 9th, 1963, the first floor of the house was restored and opened to the public as a museum. Years later the second and third floors were opened as well, and the entire house was open for viewing. 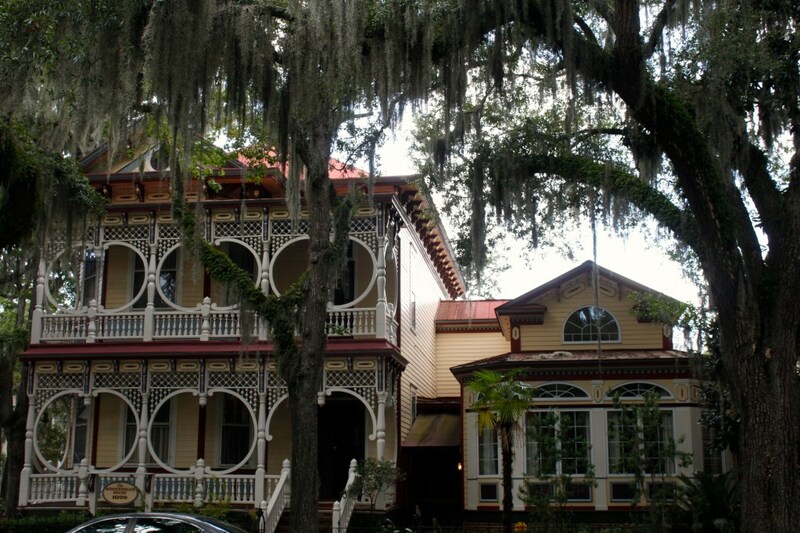 The Davenport House is still today known as Savannah’s “line in the sand” and represents an awakening in the community for history to be preserved in the city. The house also received a “Preserve American Preservation Award” for its 2000-2003 re-restoration, and President George W. Bush presented the award himself. For more information, call (912) 236-8097. 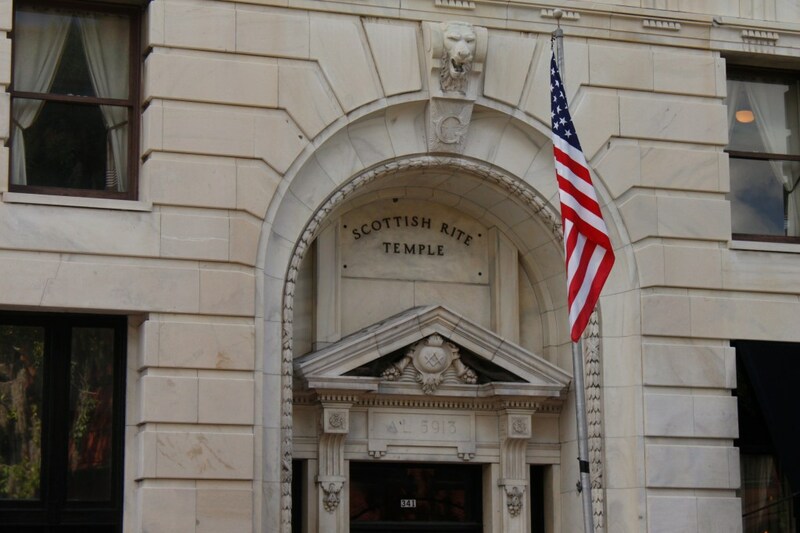 The Scottish Rite Temple has stood in downtown Savannah for more than 85 years, and exists today as a monument to Masonry. In the late 1800’s a group of Masons saw the need for a building to house various Blue Lodges and appendant bodies which had no permanent home for over 100 years. On May 2, 1896, the Masonic Temple Association began and rose a quarter of a million dollars for the land and the temple. In the fall of 1912, the contract was awarded for the building and the corner stone was laid June 30, 1913, by Robert L. Colding, Grand Master of Masons in Georgia. 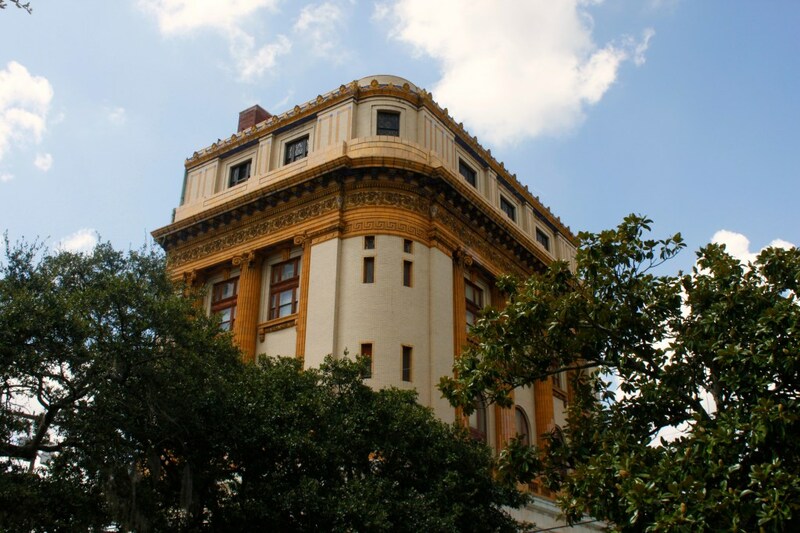 However, eventually the rising cost of construction was too overwhelming, and three Scottish Rite Masons obtained a loan to finish construction finally in 1923. For more information, call (912) 232-5132. 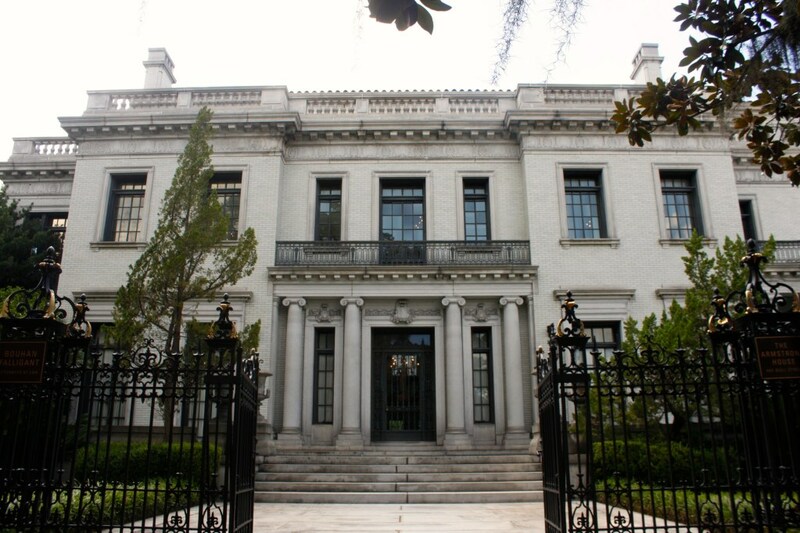 The Mercer Williams House was designed by New York architect John S. Norris for General Hugh W. Mercer, the great grandfather of the famous Johnny Mercer. Construction began in 1860, was briefly put on hold during the Civil War, and was later finished in 1868 by new owner, John Wilder. In 1969, Jim Williams, one of Savannah’s earliest and most talented private restorationists, bought the vacant house. It’s in a long list of more than 50 houses that Mr. Williams saved during his thirty-year career in historic restoration in the South. Though the house was previously open only to local historic and charitable organizations, it is now open to the public. If you stop by, you’ll have a chance to see art and furniture from Mr. Williams’ private collection, including 18th and 19th century furniture, 18th century English and American portraits, drawings from the 17th century, and an extensive collection of Chinese porcelain. Today, the house is owned by Dr. Kingery, sister of the late Jim Williams, and has been her residence since 1990. She is active in community activities, is a trustee of the Telfair Museum of Art, a board member of the Flannery O’Connor Childhood Home, and a member of Historic Savannah Foundation. For more information, call (912) 236-6352. This house is the birthplace of Flannery O’Connor, legendary southern writer famous for The Violent Bear It Away and Wise Blood. She was also the three-time winner of the O. Henry Award, and the posthumous winner of the National Book Award for Fiction for The Complete Stories. O’Connor’s childhood home is one of only a few museum houses in the country that has been restored to the Depression-era, and on your tour you will receive a great background on the life of Mary Flannery and her family. There is also the opportunity to view rare books in the Bruckheimer Library, shop for unique gifts, and also get a close look at the garden where a six-year old O’Connor famously taught a “chicken to walk backwards.” The home also hosts events throughout the year, including a free Sunday lecture series and the Annual Ursrey Memorial Lecture, which has brought Michael Cunningham, Allan Gurganus, and Jaimy Gordon to Savannah. For more information, call (912) 233-6014.